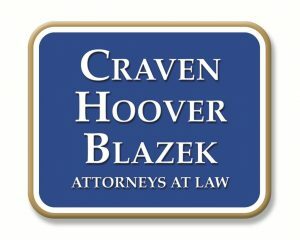 The Basics Behind Whiplash Personal Injury Claims | Craven, Hoover, & Blazek P.C. Car accidents injure more than 50 million people each year! With this number in mind, it is astonishing to also know that more than 75 percent of these victims suffer a common medical condition called whiplash. In fact, it is one of the most common personal injury sustained after a motor vehicle accident. Suffering from whiplash is an uncomfortable, painful, and traumatic experience that can result in life-long orthopedic complications, limitations, and prolonged rehabilitation. It can cause immediate pain, or show up days later. The severity of damage is unique to every accident and situation. All people, including children, can suffer whiplash injuries. Continue reading to learn more about whiplash and personal injury claims if you or a loved one was recently injured in a car accident. The term “whiplash” is a non-medical term that refers to injuries sustained to the neck following a sudden or forced jolt. This is often the result of the head suddenly being forced sideways, forwards, or backwards. Although the medical communities cannot find an exact cause of whiplash, when a person is involved in an impact while riding or driving in a car, you can visibly see the neck whip back and forth. This causes people aches, pains, discomfort, throbbing, and more in their neck, back, and shoulders. The pain and discomfort may not show up right away, and can come days later. It can last for a few days, or even weeks and months. And sometimes, more serious collisions can cause prolonged pain and complications. This area of the human body are very complex, making whiplash a tricky injury to treat, medically. Most physicians suggest hot and cold presses, over-the-counter pain medications, and rest. These remedies can reduce any muscle swelling and relieve minor aches and pains. For more serious whiplash injuries, a person might need to see a doctor or physical therapist. For serious whiplash injuries that were sustained as a result of another driver’s negligence, it is strongly suggested to consult a personal injury lawyer to discuss filing a claim. A person hit by another driver and then seriously injured with whiplash may be entitled to compensation for their damages. With effective and proficient legal counsel, a person can collect remuneration to cover medical expenses, hospital bills, lost wages, time off work, pain and suffering, prolonged rehabilitation, and much more. Be sure to choose a licensed and reputable law firm that has the proper resources to represent you and your case. Call Craven, Hoover, and Blazek P.C. at 317-881-2700 to file a personal injury claim for whiplash in Indianapolis, Indiana. Our seasoned accident attorneys offer free initial consultations and never collect lawyer fees unless they recover a settlement for you! Call 317-881-2700 to schedule a consultation with a licensed personal injury lawyer in Indianapolis, today. This entry was posted in Auto Accident Injury, Personal Injury and tagged car accident attorney Indianapolis, Indianapolis personal injury lawyer, Whiplash Injuries, whiplash injury claims, whiplash injury lawyer Indianapolis. Bookmark the permalink.